Europe’s trade association representing digitally transforming industries, DIGITALEUROPE, announces sixteen nominees for for “Future Unicorn Award 2019”, one of them – Lithuanian innovation house TeleSoftas. The “Future Unicorn Award” aims at celebrating SMEs from across Europe that have the potential to become the future European Tech giants. Company TeleSoftas was presented among the nominees as one of the leading consultancy and product engineering service company with a unique business model, based on the Organisation 3.0 principles. “From its start, global market was the focus of TeleSoftas as obviously, there are no boundaries for providing IT services. Our teams of top talent are working closely together with our clients, to create transformative solutions, of which we have created over 350 in the fifteen years of existence. To be named among the sixteen most potential firms is both a great acknowledgement and an impetus to move forward,” – commented Erika Maslauskaitė, CMO of TeleSoftas. DIGITALEUROPE emphasizes the exclusive business model of TeleSoftas, extends the definition of an outsourcing company, providing from consultancy services to full engineering solutions to its clients. Among TeleSoftas portfolio – companies like BBC, AON, Tele2, Viaggio Rosso (Ferrari), Viavi. 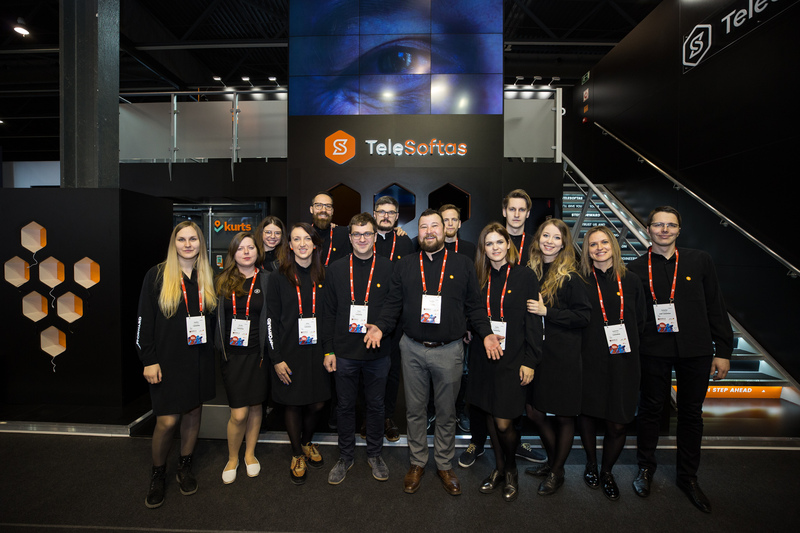 As an organisation based on Organisation 3.0 principles, TeleSoftas is a highly agile, decentralised and customer focused company with the ability to form dedicated teams or solve a single one-time technical solution need, when necessary. At the very core of business mission is the happiness of our community, teams of top-level engineers and developers who cover a very broad range of engineering knowledge. TeleSoftas also reinvests in its growth and employee retention by dedicating 1-5% of operating revenue for R&D activities per year as well as an internal accelerator programme for funding employees’ product ideas through Stage Gate methodology. The Future Unicorn Award candidates were nominated by local trade associations, based on the demonstrated success in digitising business processes and in offering innovative digital products and services. The winners will be announced at the award ceremony, taking place in the „Masters of Digital” conference in Brussels, on the 21stst of February, 2019.